Amy has an extensive background in commercial and business banking with over 20 years of financial industry experience. Prior to joining Fifth Third, Amy served as a large corporate treasury management officer, CTP and through her consistent customer-focused work ethic, has been recognized with the prestigious President’s Circle award. As a business banking relationship manager for Fifth Third Bank, Amy partners with business owners to identify all of their financial needs. 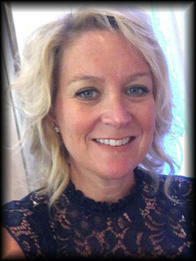 She takes a consultative approach to deliver specific advice and customized solutions that offer value and convenience. Amy is a graduate of Eastern Illinois University with a Bachelor of Science in Marketing. She resides in Oswego, IL with her son and daughter. Amy is active in her church and participates in annual international mission trips. She also enjoys travelling, staying physically active, and supporting her two children in their various activities.